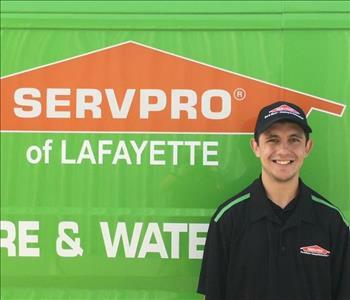 Jake is a great addition to the SERVPRO team of Lafayette. He has been with SERVPRO for 10 yrs. As the Operations Manager he oversees the residential and commercial mitigation and reconstruction. Jake is certified in the IICRC courses of ASD and WRT. 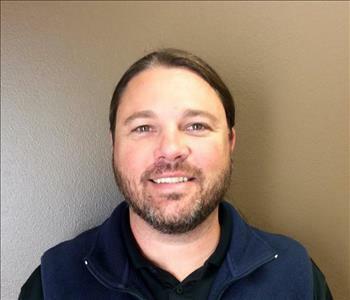 While not managing the operations of SERVPRO of Lafayette, Jake likes the outdoors and spending time with his Wife and daughter. Amanda is a Production Technician at SERVPRO of Lafayette. Amanda is SERVPRO certified in Fire, Water, Crew (customer service), carpet and upholstery. Amanda is also ICRC certified. Marcus is a Crew Chief at SERVPRO of Lafayette. Marcus is SERVPRO certified in Fire, Water, Crew (customer service), carpet and upholstery. Marcus is also ICRC, WRT (water restoration technician) certified. 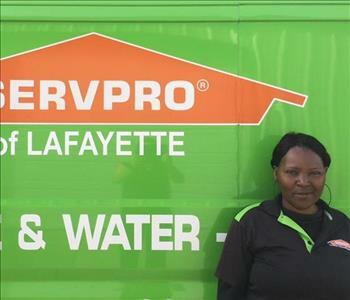 Patricia is a Production Technician at SERVPRO of Lafayette. Patricia is SERVPRO certified in Fire, Water, Crew (customer service), carpet and upholstery. Patricia is also IICRC certified. Adam is Production Technician at SERVPRO of Lafayette. Adam is SERVPRO certified in Fire, Water, Crew (customer service), carpet and upholstery. Adam is also IICRC certified. Jordan is a Production Manager at SERVPRO of Lafayette. Jordan is SERVPRO certified in Fire, Water, Crew (customer service), carpet and upholstery. Jordan is also IICRC certified. Ashley is Crew Chief at SERVPRO of Lafayette. Ashley is SERVPRO certified in Fire, Water, Crew (customer service), carpet and upholstery. Ashley is also IICRC, WRT (water restoration technician) certified. 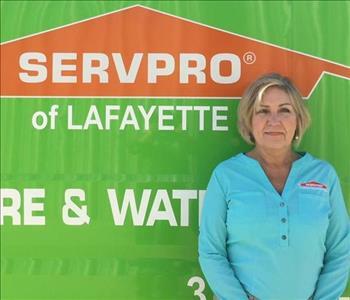 Priscilla is the Marketing Representative at SERVPRO of Lafayette. Priscilla is SERVPRO certified in Fire, Water, Crew (customer service), carpet and upholstery. Priscilla is also IICRC certified. Scott is a Production Technician at SERVPRO of Lafayette. Scott is SERVPRO certified in Fire, Water, Crew (customer service), carpet and upholstery. Scott is also IICRC certified. 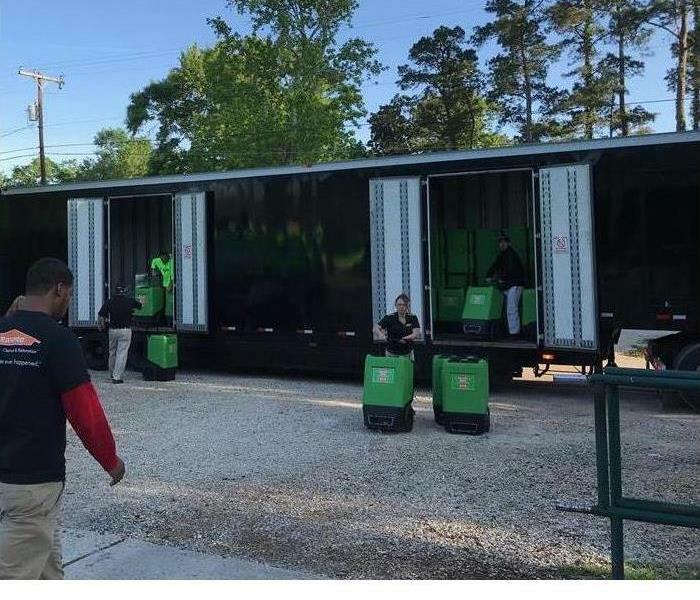 Azariah is a Production Technician at SERVPRO of Lafayette. He has 4 months restoration experience. 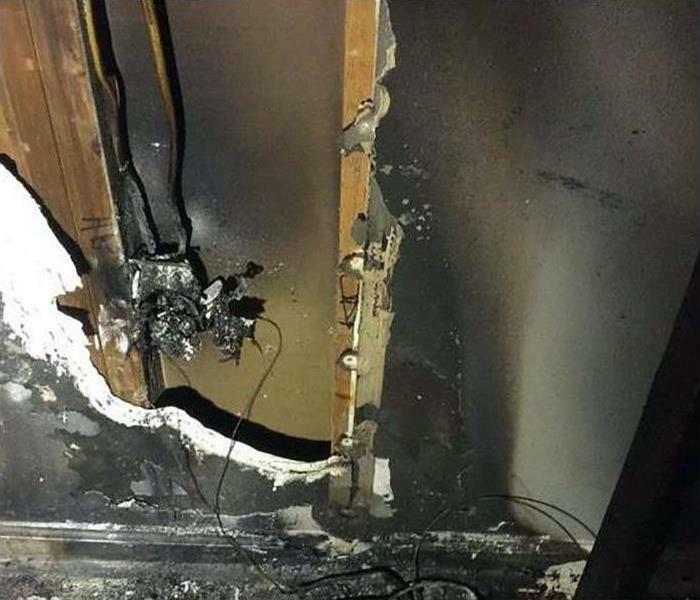 Azariah is SERVPRO certified in Fire, Water, Crew (customer service), carpet and upholstery. Azariah is also IICRC certified.